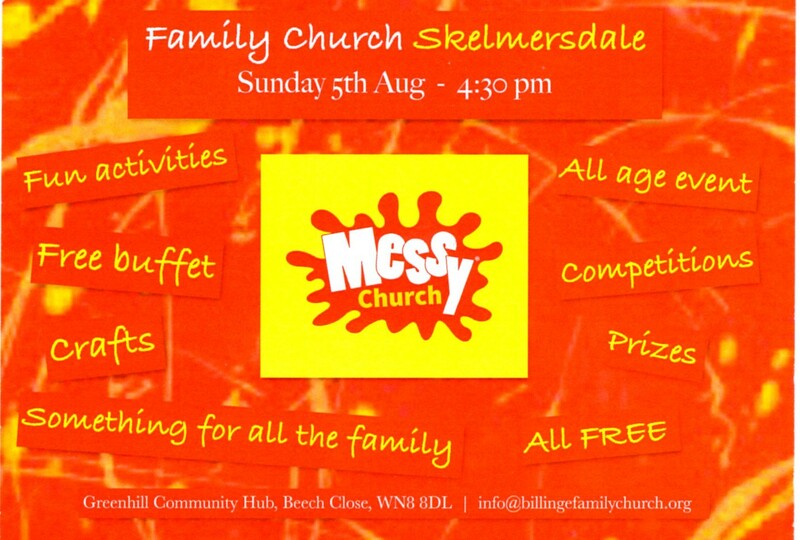 Messy Church is to take place at The Greenhill Community Hub on Sunday 5th August at 4:30pm. This is an all age event and will offer activities including competitions, prizes, free buffet, crafts and is something for all of the family. The event will be taking place at The Greenhill Community Hub, Beech Close, Skelmersdale, WN8 8DL.